Anthony Gibson Painters & Decorators - Painter/Decorator based in Crowthorne, Berkshire. Founded in 1984, Anthony Gibson Painters and Decorators has been providing top quality work for over 30 years. Based in Crowthorne Berkshire and cover all surrounding areas, we offer a comprehensive range of services covering all aspects of interior and exterior decorating requirements for both domestic and commercial clients. 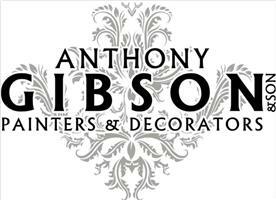 Anthony Gibson Painters and Decorators is a father and son run company, we have the knowledge and expertise built over many years of serving our customers and providing them with a first class service, we have built a reputation on reliable and quality decorating services. If you would like a free no obligation quotation then please contact us today.